Every year Budget Travel names the “Top 10 Coolest Small Towns in America”. Rockland Maine received this distinction in 2009. 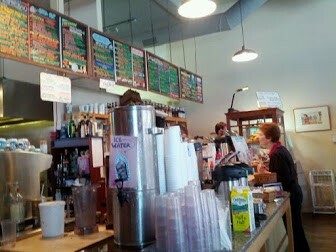 You may ask (I certainly wondered) what are the criteria of a cool small town according to Budget Travel? Here they are. In 2009 Rockland was a winner and definitely met all of the above criteria. 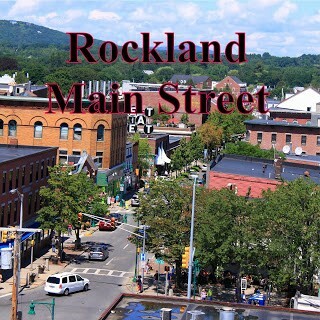 In 2014 Rockland still rocks the cool vibe and has surpassed the criteria in a huge way. What impressed me most on my visits to Rockland is the ‘sense of energy’ one feels walking or even driving down Main Street. The scene is not just for shopping even though the ‘independent shops’ and art galleries do open up a whole world of unique and eclectic finds. Next criteria topic; culture. Rockland has no problem meeting this. 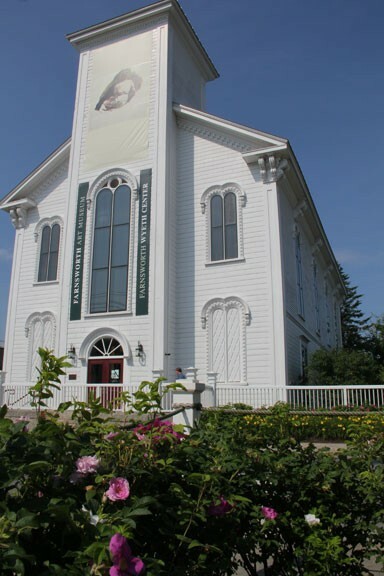 If you have been to the mid-coast of Maine and have not been to the Farnsworth Art Museum and Wyeth Center then you may be considered culturally deprived. I know this sounds harsh but it is truly a first class museum that can hold its own against any city slicker museum. The Farnsworth with 10,000 paintings by American masters, including three generations of Maine’s Wyeth family works. Great quote but I do have one exception. People do stay longer than a day or two. Innkeepers of Rockland’s Berry Manor Inn have seen a real increase of longer stays and more walk-in traffic. This says to them and to me that Rockland is on the map and thriving as a Maine destination location. Which leads me to the criteria of ‘an epic backyard’. I am supposing this means that Rockland’s neighborhoods show a diversity of well cared for homes with variations in architecture. The legacy of historic Victorian cottages and manors is what got Rockland on the list to be named on ‘This Old House’ TV show as one to the Best Old House Neighborhoods in the nation. The Berry Manor Inn is a magnificent example of the legacy homes that prosperous merchants and ship captains’ built in the 1800’s. The Inn is smack dap in the middle of a great Rockland neighborhood, all within walking distance to Main Street and all the great hub of activity just mentioned. Rockland is home to many annual festivals including the Maine Lobster Festival, North Atlantic Blues Festival and the Maine Boat, Home and harbor Festival. The ‘backyard’ in Rockland also includes a real working harbor known for its lobster and commercial fishing. Outdoor adventures are available year round on the sea or mountains. 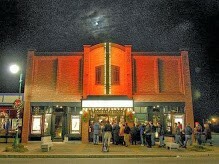 More accolades…National Geographic Traveler named Rockland Maine one of its top 100 adventure towns in the US. Now I haven’t mentioned food yet, just coffee. In 2012, Rockland was named one of the Top Nine Small Cities for Food by The Daily Meal and is the self-proclaimed lobster capital of the world. Pretty big claim but I’m not going to dispute it because I’ve eaten in a few incredible restaurants with spectacular results. Innkeepers of the Berry Manor Inn have listed 28 mid-coast restaurants on their website with good descriptions and experienced recommendations. I’ve included a link to their page so I don’t have to write about them and become ravenous. Just know that Rockland is a true ‘foodie’ town that attracts tourists globally as well as guests to the Berry Manor Inn. I will end with a quote from a piece written by travel writer Carole Braden in 2009 that sums it all up for Rockland Maine. “Every now and then, you stumble upon a town that’s gotten everything right—great coffee, food with character, shop owners with purpose.” Rockland rocks it all, the edge, the heart and the purpose. This entry was posted on Wednesday, May 14th, 2014 at 4:25 pm	and is filed under Innkeeping Business. You can follow any responses to this entry through the RSS 2.0 feed. Both comments and pings are currently closed.